Our compact seminars are tailored precisely to your requirements. They can convey only elementary knowledge due to the degree of complexity of the topics. They are therefore targeted at those seeking initial familiarisation due to a job change or having recently joined a company or at those wishing to brush up on their existing knowledge. Unlike compact seminars, specialist seminars go into significant detail. For this type of seminar therefore, participants should at least have basic existing knowledge in the appropriate subject area. For participation prerequisites, please see the details in the seminar descriptions listed below. Our compact and specialist seminars are one-day events. If your company would like more than one person to participate in a training course, please ask us for a volume discount. If you would like a group of six or more participants to undertake training in your company, there is also the option to arrange the training course as an in-house event. We look forward to hearing from you! 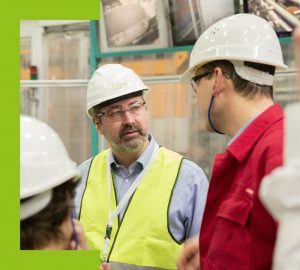 As a mechanical engineer, your core remit is in the development of highly modern machines and production systems, while as an operator you’re forever trying to upgrade your plants in an effort to keep pace with continuously increasing market requirements. 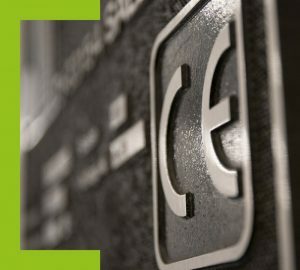 CE marking must be applied to machinery if brought to market new in the European Single Market or where existing machinery undergoes significant modification. You will learn the individual steps of the CE certification process. You also learn a lot about the structure, content and requirements of directives and when these are to be applied. You will also be familiarised with various standards, and taught whether and how these are to be applied and how their requirements are to be implemented. You will also learn where the borders lie between CE marking and occupational safety and why these subject areas should be considered separately from each other. From practice, for practice. Our experienced instructors will answer all of your questions and set you well on your way with numerous examples to work with. After completing training, you will be capable of acting efficiently and in compliance with applicable legislation and of operating confidently in the area. The subject matter taught on the course will simplify your day to day work sustainably. Participants will be issued a corresponding certificate and training documentation in digital format. Manufacturers and operators of machines are obliged to design their machines and systems safely. This is called for by the machinery directive and the guidelines on the use of equipment. No doubt you do plenty right in your day to day work intuitively, but what do you do if something happens? When making a decision about safety equipment, you must always weigh up whether or not the equipment will sufficiently minimise the risks present in reality. While the compact seminar on CE marking focusses on the procedure and its constituent parts, in the machine safety seminar we focus our attention on the application and constitution of standards. You are taught for instance the criteria by which protective equipment is selected and adapted to your requirements. The principle focus is on selecting active opto-electronic protective devices and their use in accordance with relevant standards. Using various standards you will learn how to choose, design and verify the best protective equipment. We will also clarify the extent to which your choice of protective equipment must be documented as well as the help available on the market. From practice, for practice. Our experienced instructors will answer all of your questions and set you well on your way with numerous examples to work with. After completing training, you will be capable of making machines and systems safe in compliance with applicable legislation and of compiling the necessary documentation. The subject matter taught on the course will simplify your day to day work sustainably. All persons involved in or likely to be involved in safeguarding machinery. Parts 1 and 2 of European standard EN ISO 13849 describe the determination and validation of the Performance Level (PL) of technical regulation protective functions. The component also termed “functional safety” in the manufacture of machines is one of the most comprehensive parts of risk assessment. The Institute for Occupational Safety and Health of the German Social Accident Insurance has developed the SISTEMA software wizard for assessing safety-related machine controllers in accordance with DIN EN ISO 13849. The software is free of charge, very comprehensive and now in wide use. In this specialist seminar, we deal with technical regulation protective functions, their development and PL validation using SISTEMA. You will learn and be able to apply and classify terminology from standard 13849. You will also have no trouble designing protective functions using block diagrams. You will master SISTEMA and be able to validate its safety functions in no time with the software. 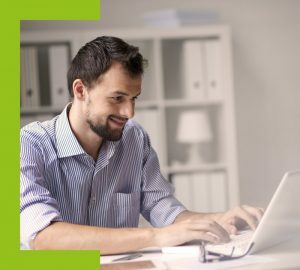 Once you have completed the training course, you will be able to use the software confidently, use component libraries and create your own libraries. You will have no trouble creating safety functions from block diagrams or circuit diagrams. You’ll know what to do if the expected Performance Level is not achieved. 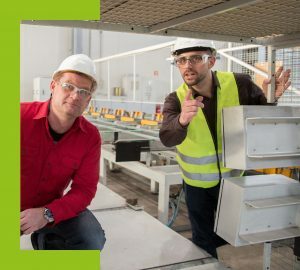 Our CE-CON Safety software assists you in implementing the CE certification process for products brought to market in the European Economic Area. Risk assessment according to standard EN ISO 12100:2010 is the centrepiece of the cloud software. Just as many roads lead to Rome, there are also many ways to perform risk assessments. CE-CON Safety thus offers several such options to make performing risk assessments as convenient as possible, perhaps also reflecting what you’re already used to. You can therefore choose between various assessment systems for risks and different options for categorising your products. Selecting the optimal measure for sufficiently reducing risk is often an ordeal. CE-CON Safety helps you choose with a wealth of specialist and organisational information. You will become proficient in using the software, including in line with your requirements. You will also learn how to use the provided help tools and to consequently derive your “best solution“. Working through projects and collaborating with colleagues in the team is the icing on the cake for perfecting your work. You will be able to work with the software confidently, use libraries and create your own libraries. You will have no trouble creating risk assessments. You will always know what to do to reduce risk and to sufficiently minimise hazards. Participants will be issued with a corresponding certificate and training documentation in digital format.